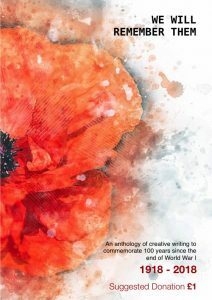 The idea for this anthology of writing occurred to me during an English Literature tour of the First World War Battlefields with two MBA students, Bronnen and Blake. 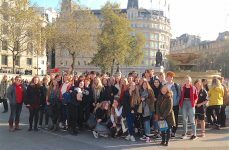 We spent four days visiting all of the major battlefields, graveyards and memorials associated with the 1914-1918 conflict. 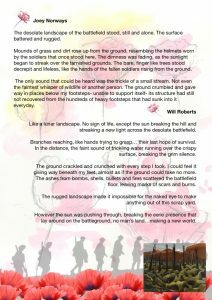 We were given the poem ‘Exposure’ by Wilfred Owen to read at Serre Road 2, an area in which Owen fought before he was killed in action six weeks before the end of the war. An emotional and humbling experience for all three of us. 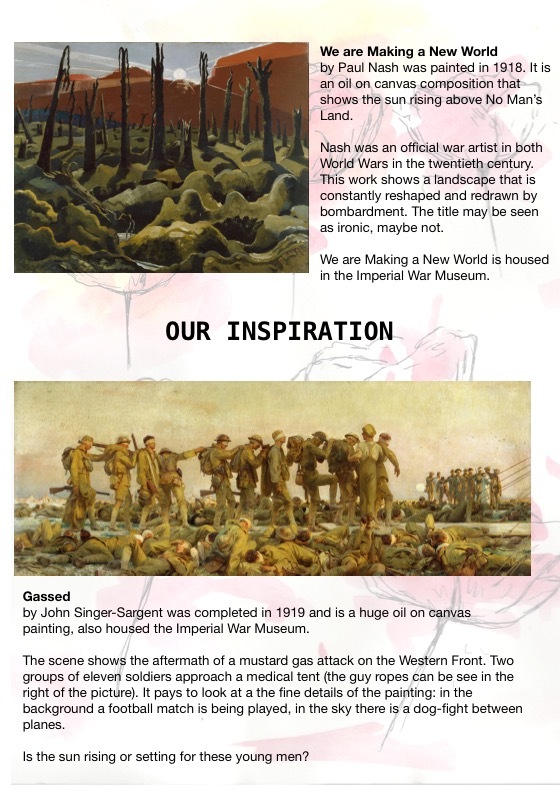 In their English lessons all students were shown one of two paintings ‘We are Making a New World’ by Paul Nash or ‘Gassed’ by John Singer-Sargent. 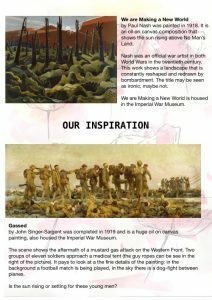 They were asked to produce a piece of creative writing in response to these paintings. We produced a book showcasing some of the outstanding work submitted. 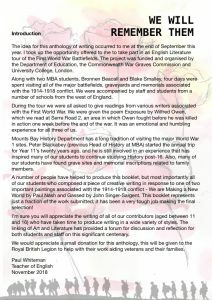 It was an extremely difficult job to choose the work to be included. 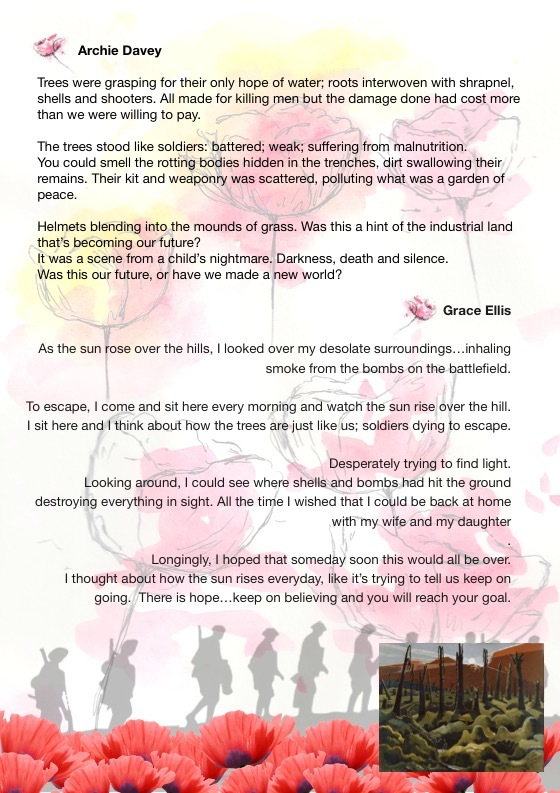 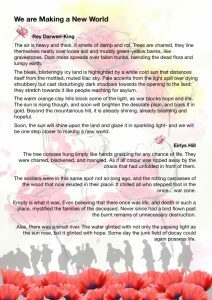 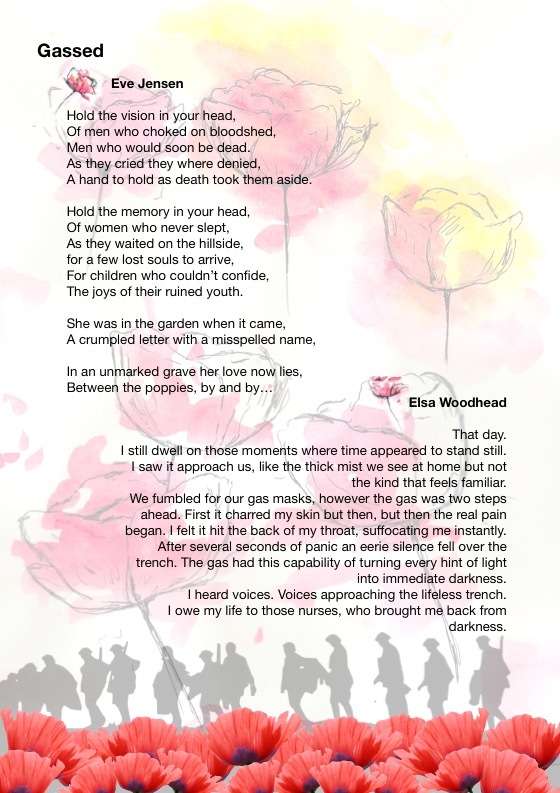 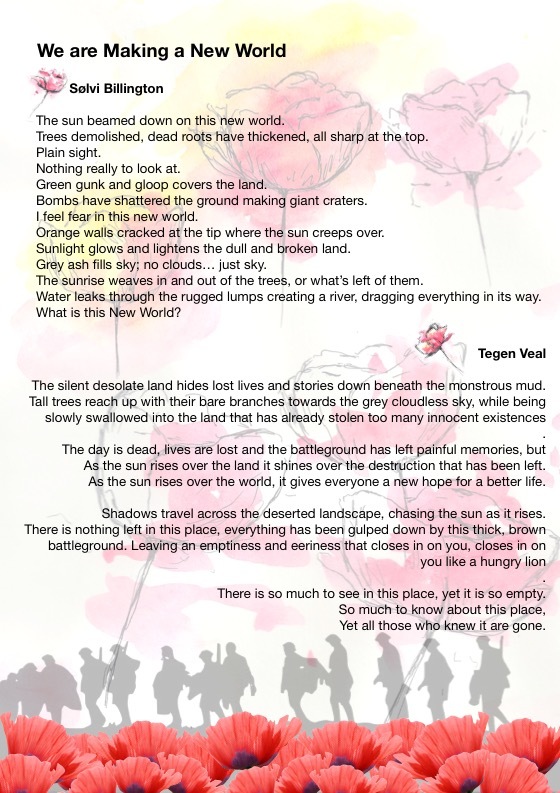 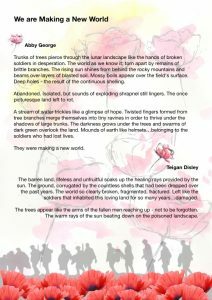 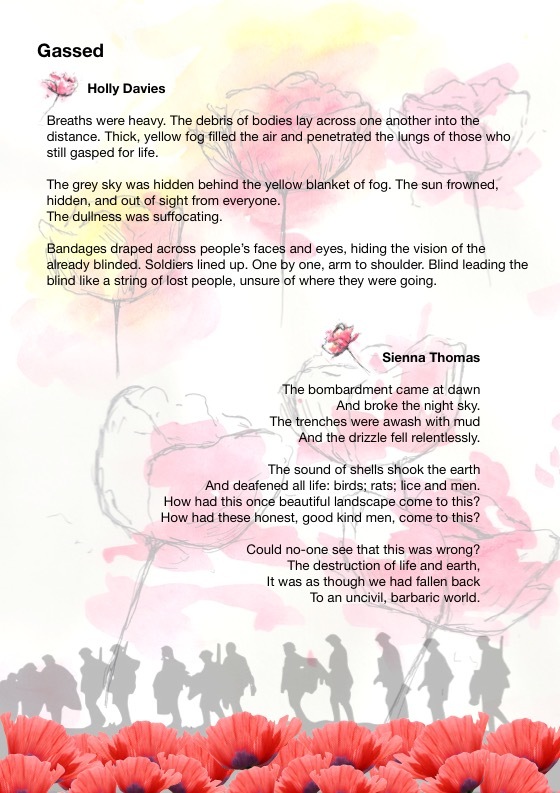 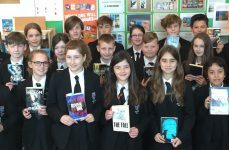 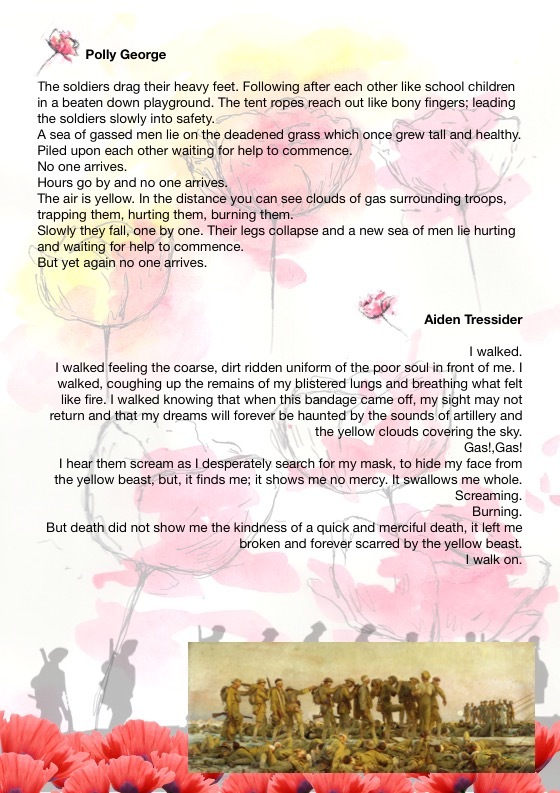 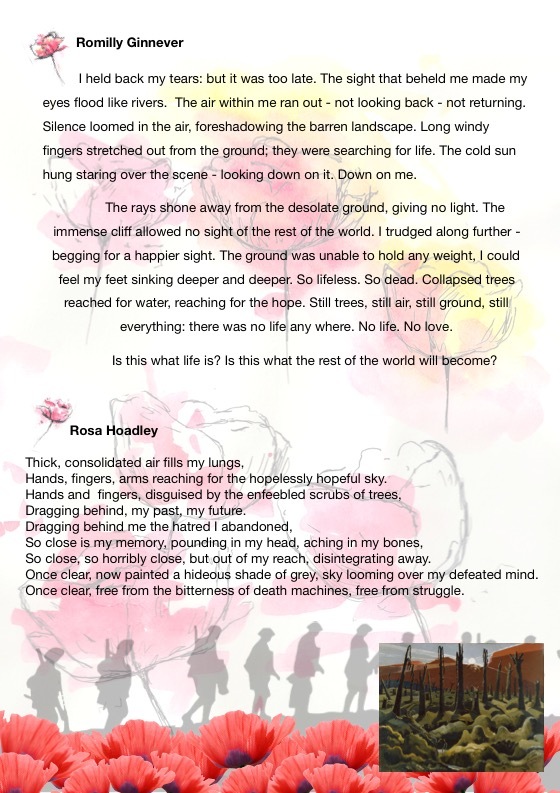 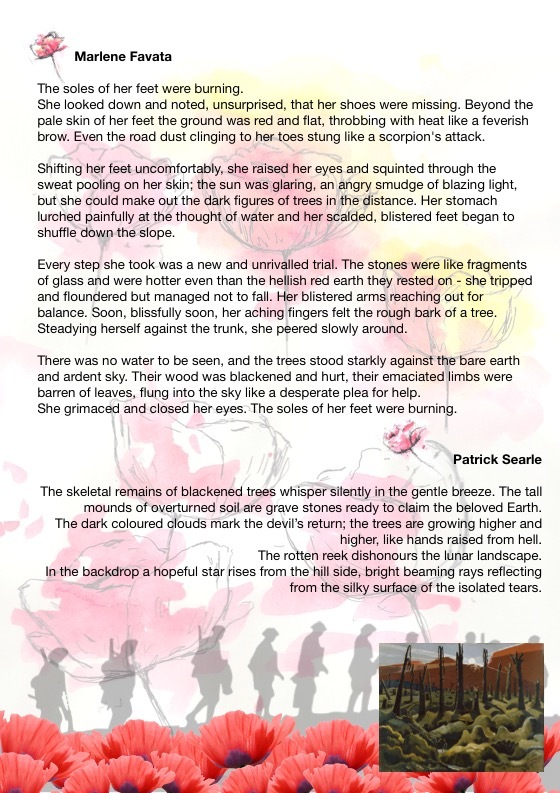 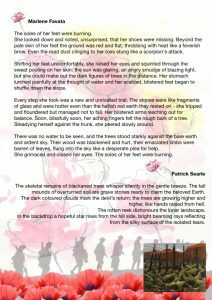 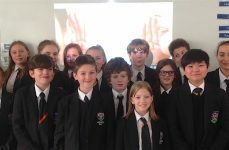 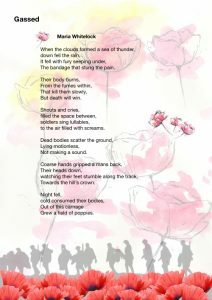 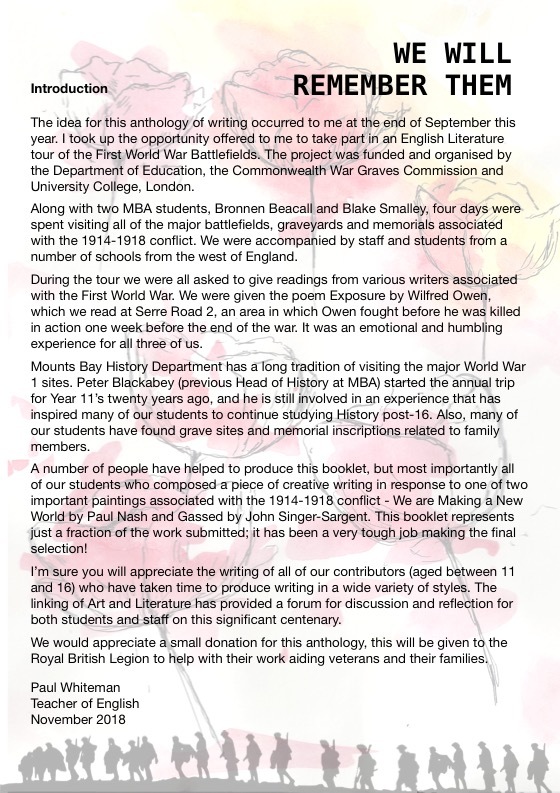 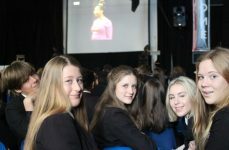 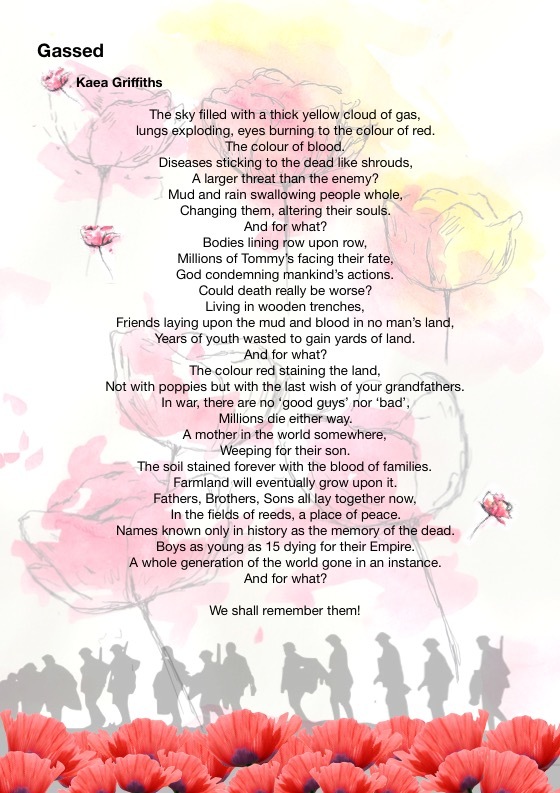 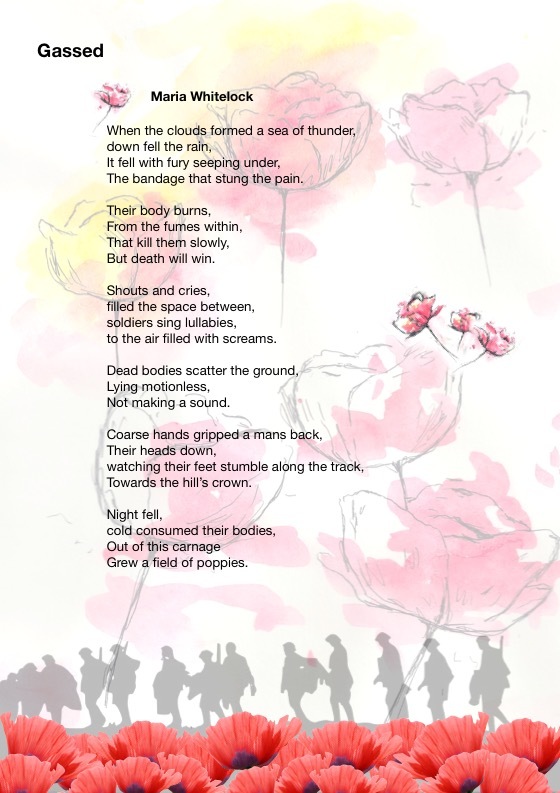 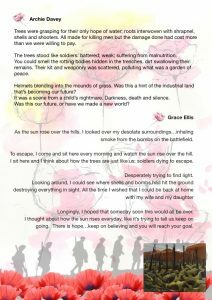 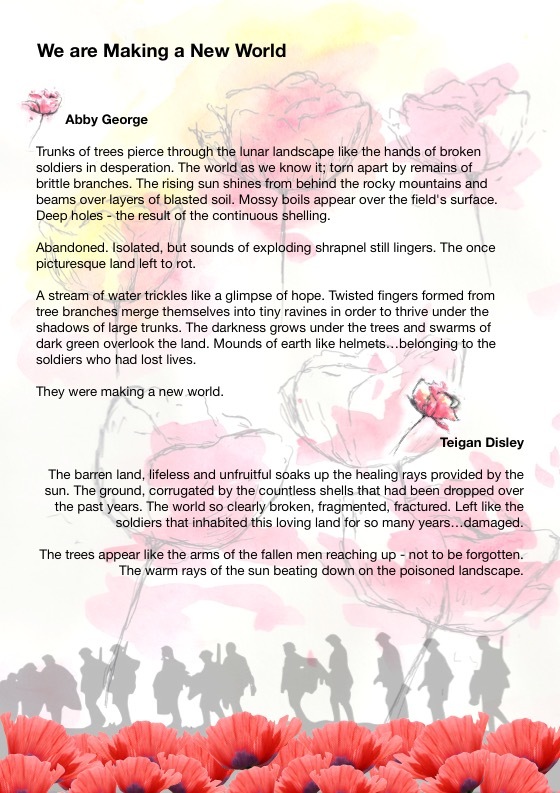 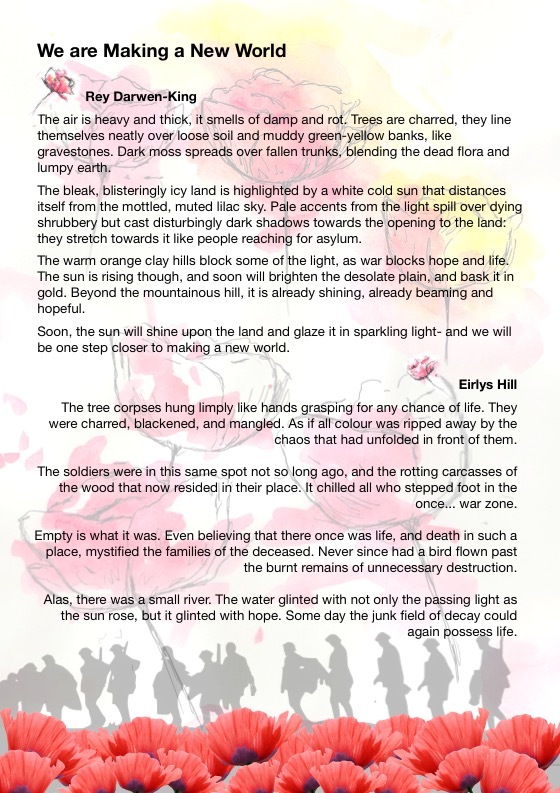 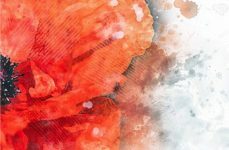 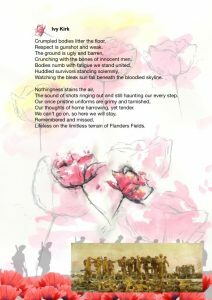 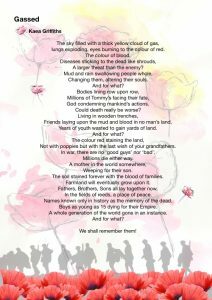 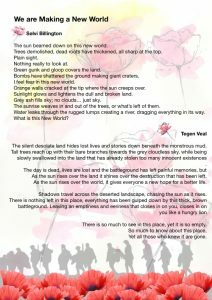 I’m sure you will appreciate the writing of all of our contributors (aged between 11 and 16) who have taken time to produce writing in a wide variety of styles in response to the centenary of the end of World War 1. 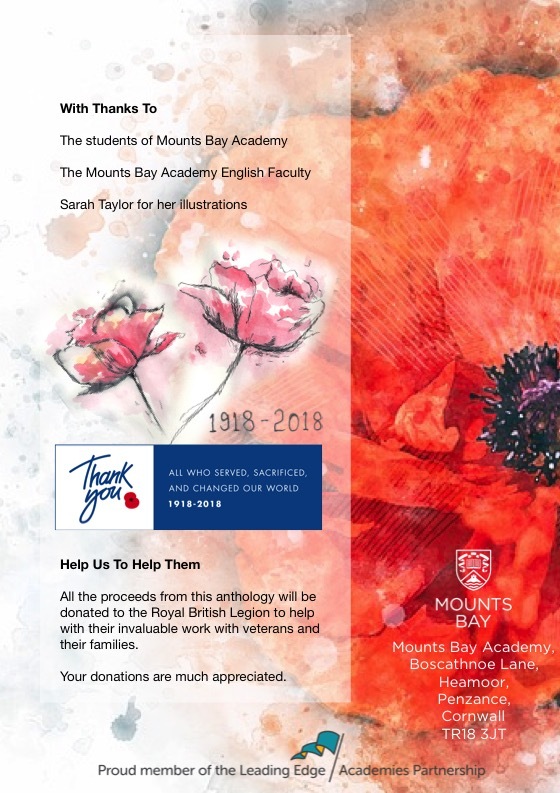 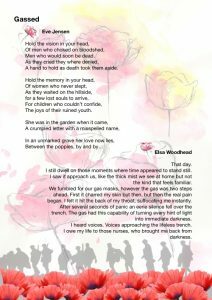 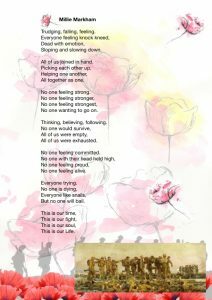 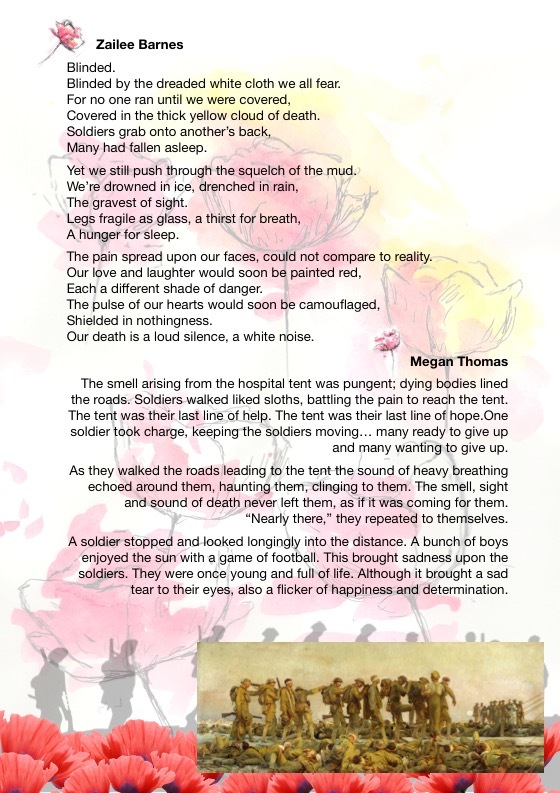 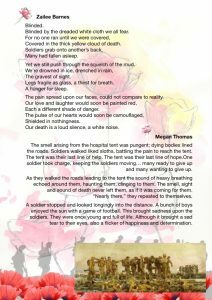 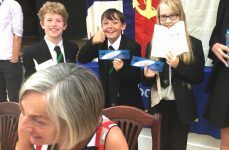 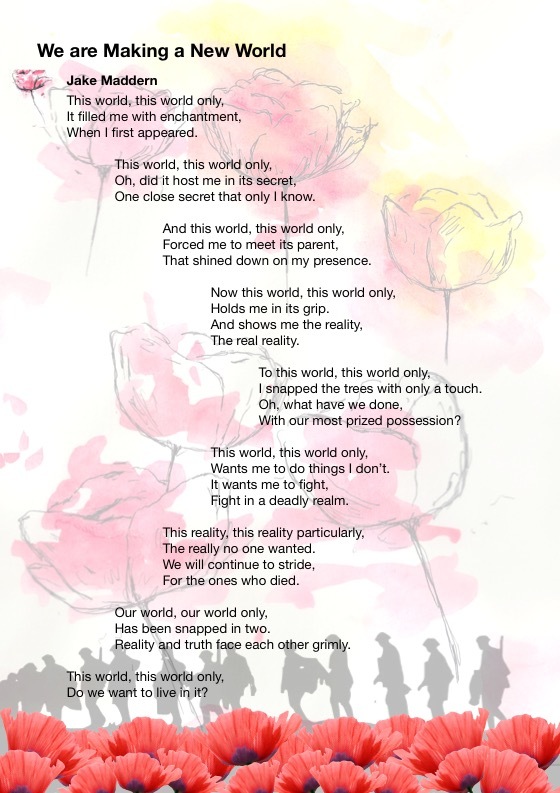 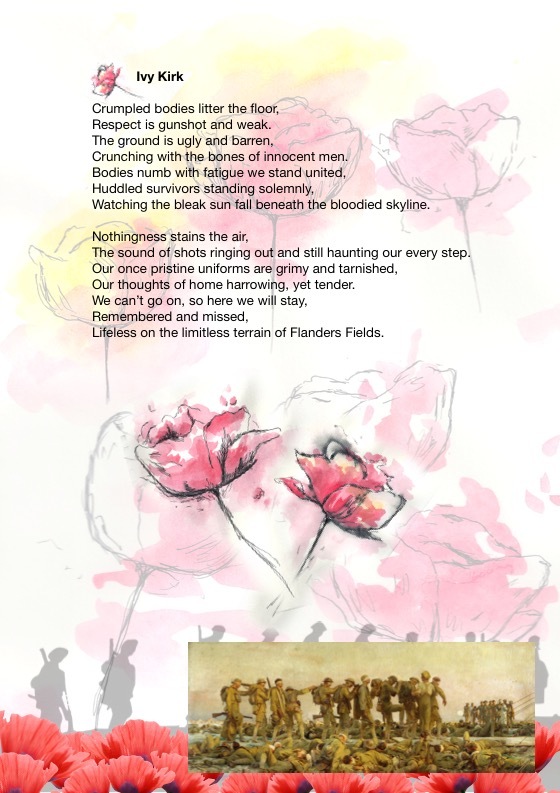 Copies of the poetry anthology are available from MBA for a suggested contribution of £1 which will go to The Royal British Legion. 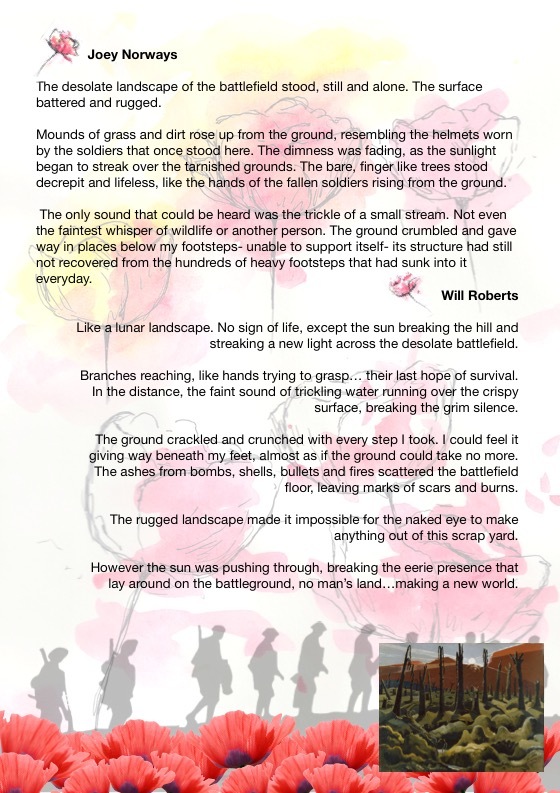 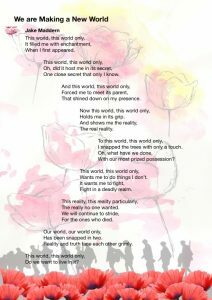 To download the Poetry Anthology click here.